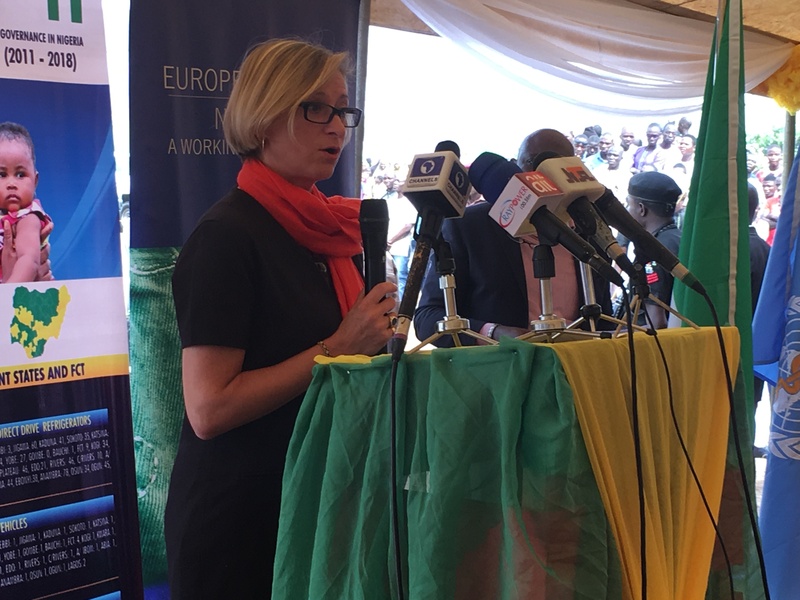 It is a great privilege for me to welcome you all to this important occasion, which represents a key milestone in the history of the European Union Support to Immunization Governance in Nigeria (EU-SIGN) Project. It has been a long journey, from the point when the Financing Agreement (FA) for the Project was signed between the Federal Government of Nigeria and the European Union on 7 March 2011. 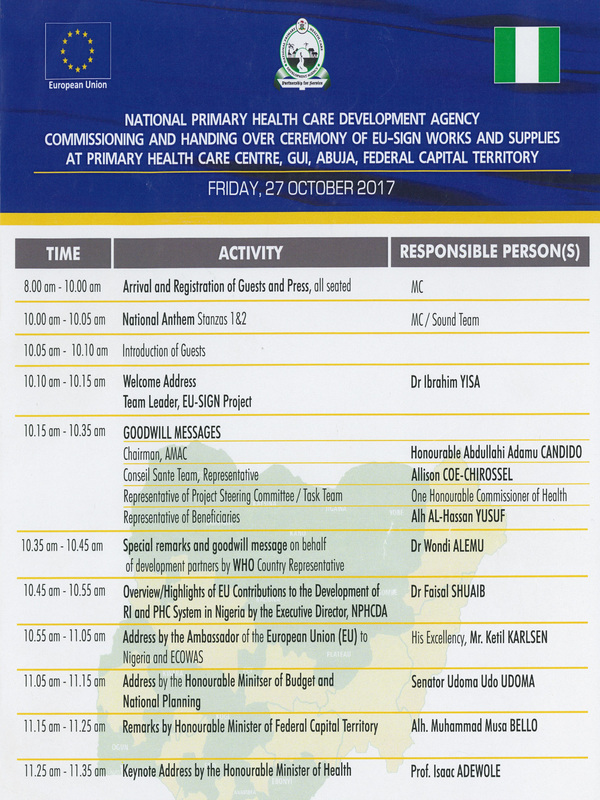 The Project, which is a continuation of previous supports by the European Union is part of the efforts to reposition the National Primary Health Care Development Agency towards fulfilling its mandate to the Nigerian people. In particular, the EU-SIGN Project supports NPHCDA to strengthen governance and management systems for the delivery of sustainable quality Routine Immunization (RI), within an Integrated PHC System in Nigeria, with focus in 23 States and the FCT. The Ministry of Budget and National Planning, which has played the key pivotal role in putting effects to the FA has been very supportive in ensuring that all the provisions under the agreement are successfully implemented. I am here on behalf of Conseil Santé, Health Partners International and SOFRECO, the Consortium Partners that represent the Technical Arm of the EU-SIGN Project. We are happy to be part of this epoch-making event, which marks a turning point in the history of the Project. Support the interruption of the wild polio virus transmission in Nigeria. 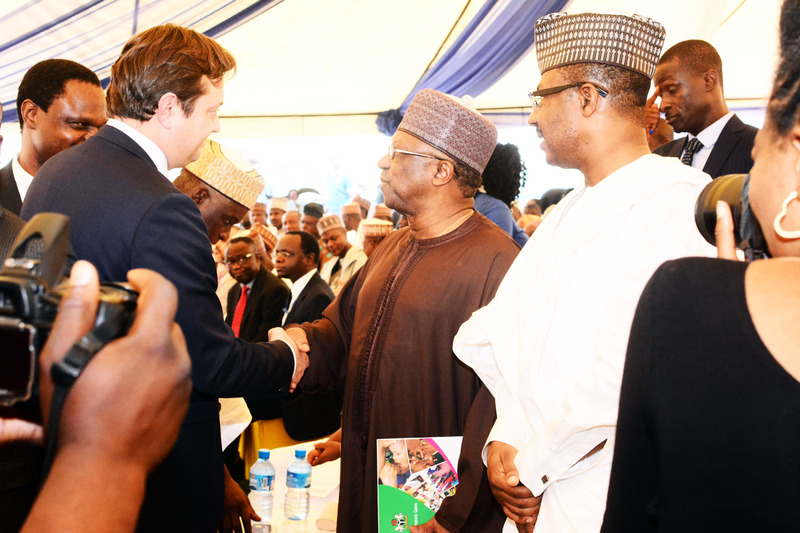 The European Union (EU) says it is investing N22 million in Kebbi State as part of the union’s Support to Immunisation Governance in Nigeria (EU-SIGN) projects to strengthen primary healthcare in the state. The Immunisation Expert of the project, Dr James Attah, disclosed this at the official flag-off of the programme in Birnin Kebbi on Monday. 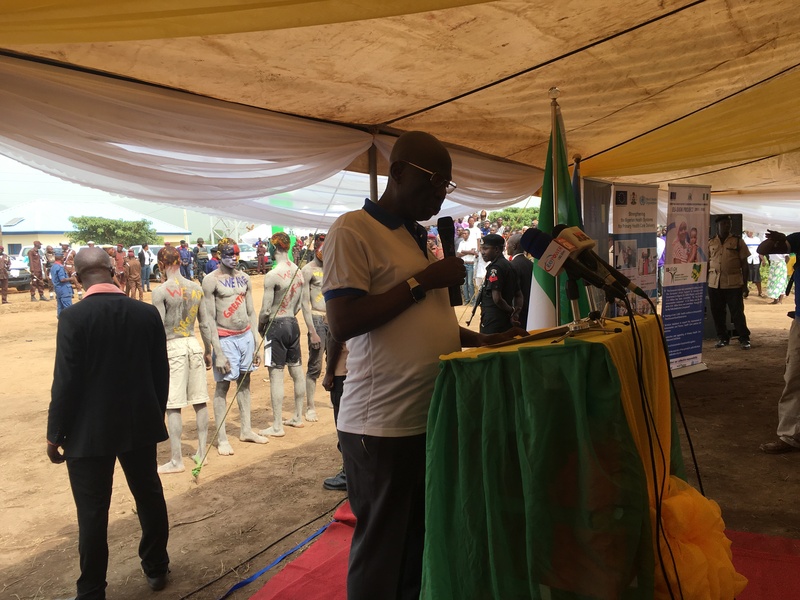 Citing the 2013 report of the National Demographic and Health Survey (NDHS) which said just 2.8 per cent of children in the state were fully immunised one year after birth, Dr. Attah said the EU-SIGN will help to improve the uptake of immunisation.